You are here: Home / CFL/League / Leos prove to be the best fit for Arceneaux. Leos prove to be the best fit for Arceneaux. 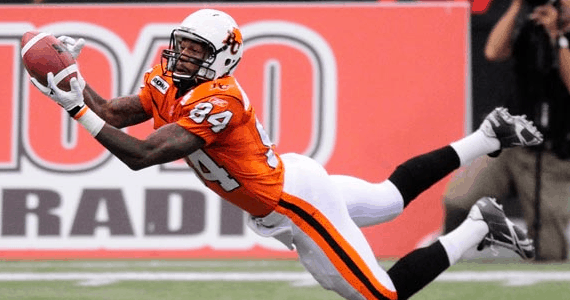 Reports Sunday evening are indicating that former BC Lions receiver Emmanuel Arceneaux has a signed a 2 -year free agent deal with his former team. Neither the club or the player has officially confirmed the deal, but several reputable sources are now reporting the contract is done. Arceneaux spent the last two seasons trying to find a home in the NFL, but spent much of his time on the practice rosters of the Minnesota Vikings, Washington Redskins and most recently the New York Jets, who released him just prior to last week. Over his two season with the Lions, Arceneaux caught 130 passes for 1,972 yards and 12 touchdowns before trying his luck down south. In the end both the team and the player got what they wanted and if it wasn’t already, the battle at receiver during training camp will be one to watch.